The new coffee taste in Simon’s Town? 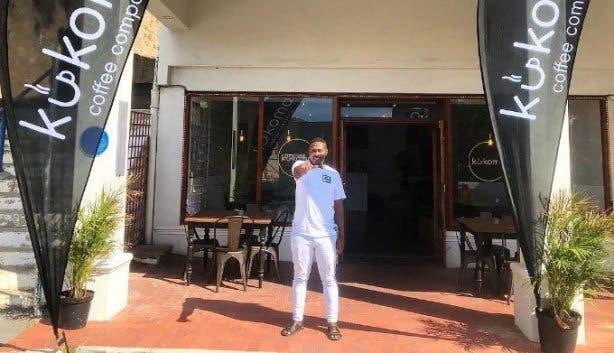 Former-gangster-turned-barista Simpiwe says you should stop off at Kukoma Coffee Co. at 135 St George’s Street. They have an opening special of R15 on their unique on-site and all-African roast coffee. And we agree it’s worth popping in. Paired with the free high-speed internet and open every day of the week, it’s a comfy place to switch on. If you don’t make it in time for the opening special, you can enjoy a flat white for a solid R25 and if you get there on the right day, you can tuck into the coffee and cake special for R45. The Lindt double chocolate cake is pure decadence. 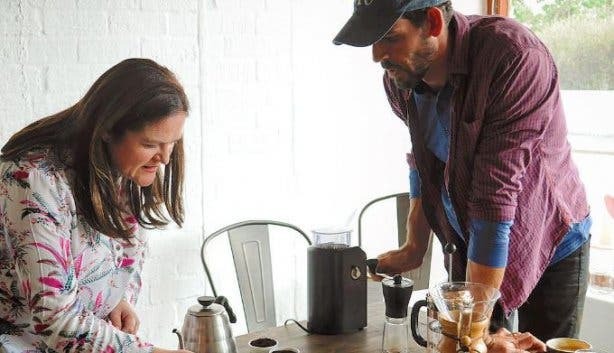 Kukoma, which means “kindness” in the Malawian Chichewa language, is a coffee roasting company that supports the sustainable farming, sourcing and roasting of coffee. 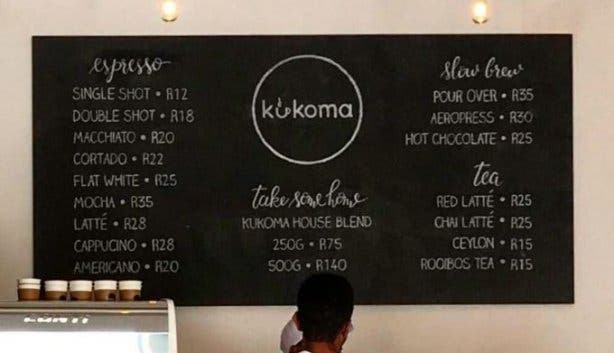 The flagship Kukoma coffee shop in Simon’s Town is where you can get some of the best African coffee available from Rwanda, Uganda, Tanzania, Burundi and Ethiopia. 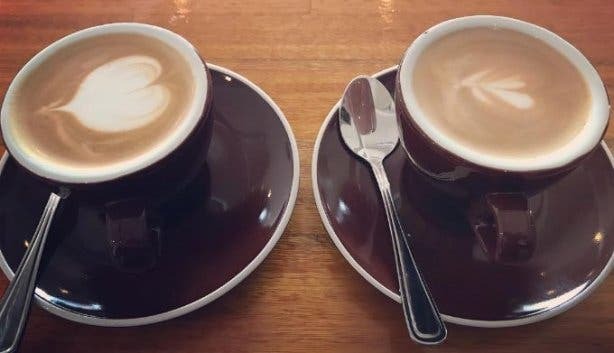 The third wave of coffee is a movement to produce high-quality coffee because coffee is now considered an artisanal foodstuff rather than a commodity. 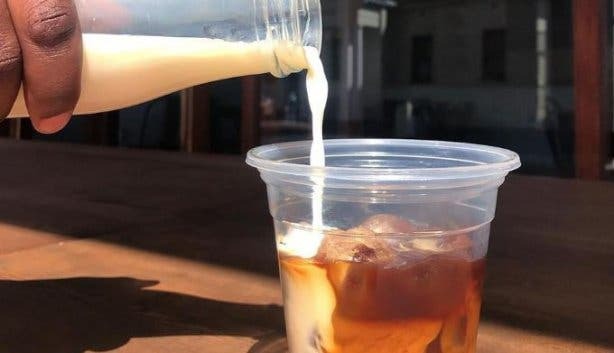 It also includes revivals of alternative methods of coffee preparation. Kukoma serves both the traditional espresso-based drinks and they have a slow brew bar. 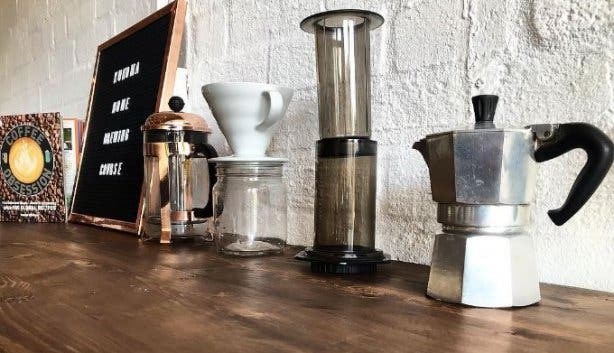 You can discover a new world of coffee through the crisp and clean pour-over or a distinct flavoured Aeropress. 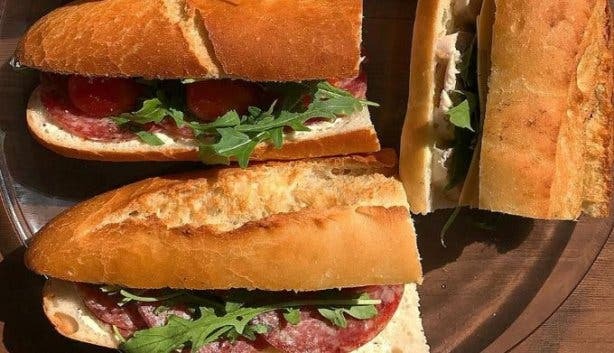 To complement the coffee experience, there is a range of delicious cakes, muffins, pastries and gourmet sandwiches that are great fresh or toasted. How can you become your own barista at home with whatever coffee equipment you have? 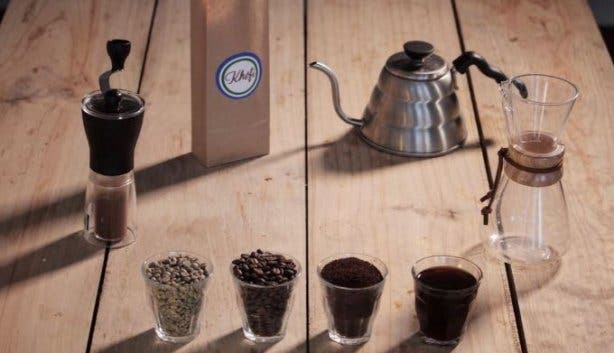 You need to learn and understand the basics of coffee and the brewing thereof. Kukoma offers home brewing workshops every 6–8 weeks where you can learn the trade. Kukoma met Simpiwe while he was working at a cafe, making great coffee. They worked with him and while building a relationship, they realised that he was a man of great skill, aspiration and talent. He was part of an organisation called Gangstar Enterprises and had turned his life around after being imprisoned. Kukoma jumped at the opportunity to give him a chance to further his career and life in the industry he loves. Everyone that comes to the shop loves Simphiwe and his friendly attitude. He is passionate about sharing his story with whoever wants to listen. The fact that he makes a crazy good cup of coffee is just the cherry on top. Kukoma loves to support local initiatives in Simon’s Town and all over Cape Town. They are currently supplying coffee at a community-driven event called Firefly as well as Jumpstart SA events, a Cape Town-based entrepreneur development start-up. 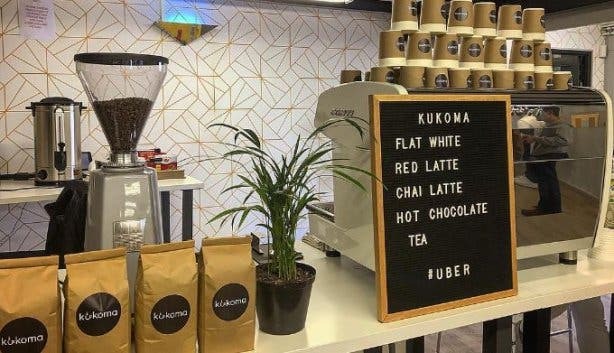 Over summer, you’ll find Kukoma out and about at markets, corporate events, weddings, and street festivals such as Streetopia making some great coffee and pouring some refreshing cold brews, perfect for hot weather. HOW CAN KUKOMA WORK FOR YOU? If you’re a freelancer or need a space to work with high-speed internet, this could be your new office. Kukoma can cater to your private functions, events, music gigs, and even book readings. Kukoma roasts to order for their commercial customers using only speciality grade coffee beans. They also develop and design blends for new customers to make coffee a unique experience rather than just a name brand on a bag. Learn all about the rise of coffee culture in Cape Town. Discover coffee roasteries in Cape Town. 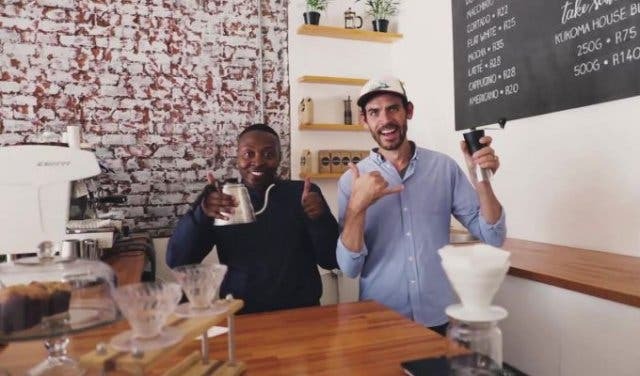 Have you been to Cape Town’s first township-based artisan coffee shop? Take a look at all the new things popping up in Cape Town.